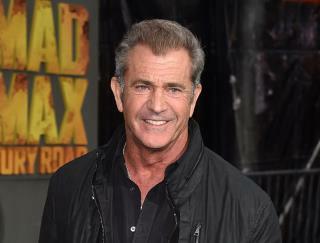 (Newser) – Mel Gibson has been persona non grata for some time in Hollywood, following a string of headline-making infractions, including DUI troubles and accusations of anti-Semitism and domestic violence. As the Guardian puts it, "There was a time when you would have remarked that Mel couldn't get arrested in Hollywood, except for the fact that arrested was pretty much all he could get." But Gibson showed up on the Golden Globes stage tonight, and that put host Ricky Gervais—who had poked fun of Gibson at the 2010 awards—on the spot. If Mel never talked he would be just fine. That exchange was more staged than a Chinese state funeral. Did anyone actually watch this? I'm curious what kind of reaction Gibson got.